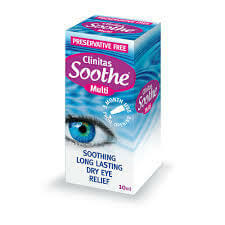 Helps relieve irritation or dryness in eyes. 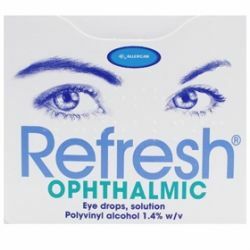 Refresh Ophthalmic Eye Drops are single use drops designed to help relieve irritation and dryness of the eyes. 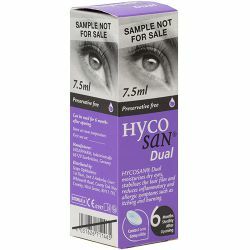 It works by lubricating the surface of the eye, relieving the symptoms of dry eyes. They can also be used as a comfort drop while wearing hard or soft contact lenses. Refresh Ophthalmic Eye Drops should be kept out of sight and reach of children and should be stored under 25 degrees celsius. Each dose is single-use. Once used, dispose of any drops still left over in the unit. 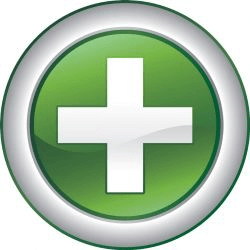 Place One or Two drops in the affected eye when needed. Contacts should be removed before application and can be reinserted 15 minutes after use of the drops. If, after use, you experience any eye pain, changes in vision, continued redness or ittitation of the eye, or if the condition of your eye worsens, stop using the Refresh drops immediately and speak to your doctor. Each dose is preservative free, so it should be used straight away once opened. Do not touch the open end to any surface and avoid direct contact with the eye.